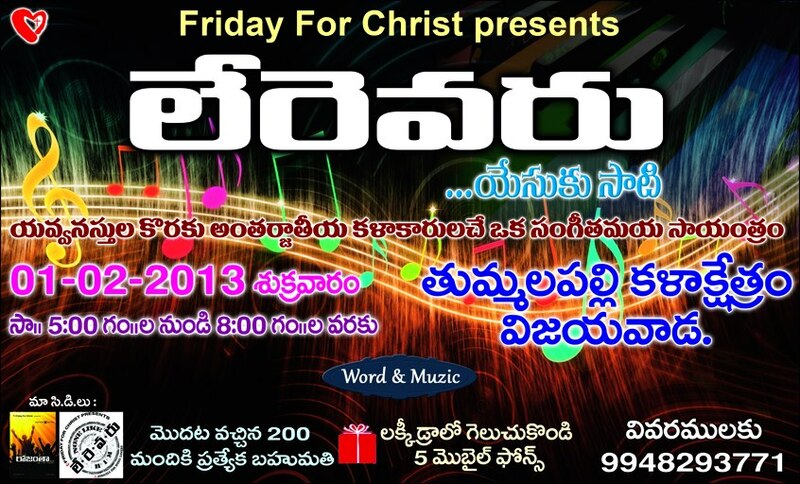 An evening of Music for youth. 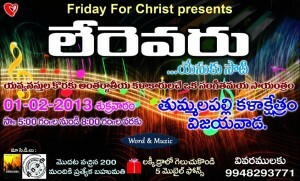 Come to enjoy the presence of God, and wonderful music from both Indian and International musicians. When: Saturday, September 10, 2011, from 6:00pm – 8:30pmVenue: C.L. RAYUDU ROTARY CLUB AUDITORIUM, GANNAVARAM. Music will be from Youth Arise, and gospel singers Bro. Philip and Sis. Sharon will be there.